Feedback published today shows strong support for ecological restoration and recreation in the Ōtākaro Avon River Corridor. 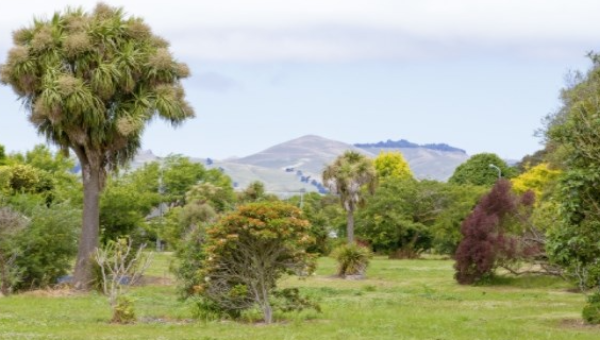 Today we’ve published all feedback on possible land uses for the 602-hectare Ōtākaro Avon River Corridor regeneration area. From 6 October to 6 November, 1866 people and groups gave feedback on 10 possible combinations of land uses for the regeneration area, which is almost four times the size of Hagley Park and includes the former residential red zone. The most common feedback themes were ecological restoration, residential development (including the proposed golf course land swap), recreation (including flatwater and whitewater facilities), visitor attractions and productive land uses, says Chief Executive Ivan Iafeta. “The recent engagement was an opportunity for people to look at the work we’ve done and tell us what they thought of the possible land uses and the information considered, and let us know if they thought we’d missed anything,” explains Ivan Iafeta. You can read the full summary of findings on our Engagement website. We asked this in March, generating more than 5000 ideas, suggestions and proposals – old and new. These informed the vision and objectives for the area which, following public feedback, were confirmed in June. We then collated these ideas into different land uses, completed 12 land use assessments, assessed the feasibility of a flatwater facility, as well as commercial, industrial and residential uses, before we published 10 possible combinations and all the supporting information for feedback in October. We received more than 1800 responses and are planning a major public exhibition of shortlisted options early in 2018. 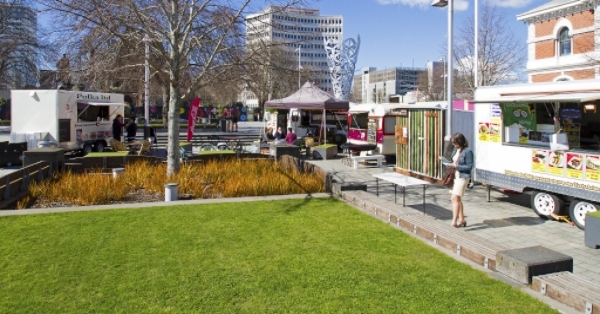 In August, we published draft concepts to revitalise Cathedral Square and its surrounds. Responses were positive, with most people liking the idea of an event-ready, greener Square. This feedback, along with the research we’ve already done, is helping us refine the concept design and complete the strategy. We’re also investigating opportunities to increase regeneration momentum across the wider central city. We’ve also had a statutory role in Christchurch City Council’s regeneration plan for the Cranford Basin, and, using the Regeneration Act, are working closely with the Ministry of Education, Christchurch City Council and partners to fast-track the relocation of Redcliffs School to a new site and create a new park on the existing school land. On the coast, we are supporting a community partnership called the “How Team” to advise how community conversations about South New Brighton and Southshore’s future can best take place. As eventful as 2017 has been, 2018 promises even more. On 15 January 2018, we will publish and seek feedback on the weightings of Integrated Assessment criteria for the Ōtākaro Avon River Corridor Regeneration Area. Integrated Assessment is a tool that supports the development of the Regeneration Plan and helps to understand how the objectives for the area are met. We’ll complete a draft regeneration plan for the Ōtākaro Avon River Corridor, finalise the Cathedral Square and surrounds regeneration strategy, and continue regeneration planning for Southshore and South New Brighton. Best wishes for a Merry Christmas and a relaxing holiday. Your Square Your Place – thanks for your feedback! We’ve published the feedback we received on our draft concept and key moves for Cathedral Square and the surrounding area. A big thank-you to everyone who took the time to provide their thoughts to us; the feedback we received is helping us develop the regeneration strategy for this area to see it again become a thriving, vibrant heart of the city. Overall, feedback on the draft concept and key moves was positive. In total, 83 per cent of participants liked the idea, with just under half of those (36 per cent) stating some reservations. People supported a more dynamic, vibrant people-friendly Square that attracts people of all ages – residents and visitors. They liked the idea of the Square being a destination, rather than a thoroughfare. They also reconfirmed a theme that first appeared in Share an Idea – that people wanted a greener Square, with more plants and water features. You can read the full summary of findings and more about next steps on our website. As the summer events calendar thickens up, our staff have been regularly out in the community, meeting people, putting a face to the name and answering any questions people might have. 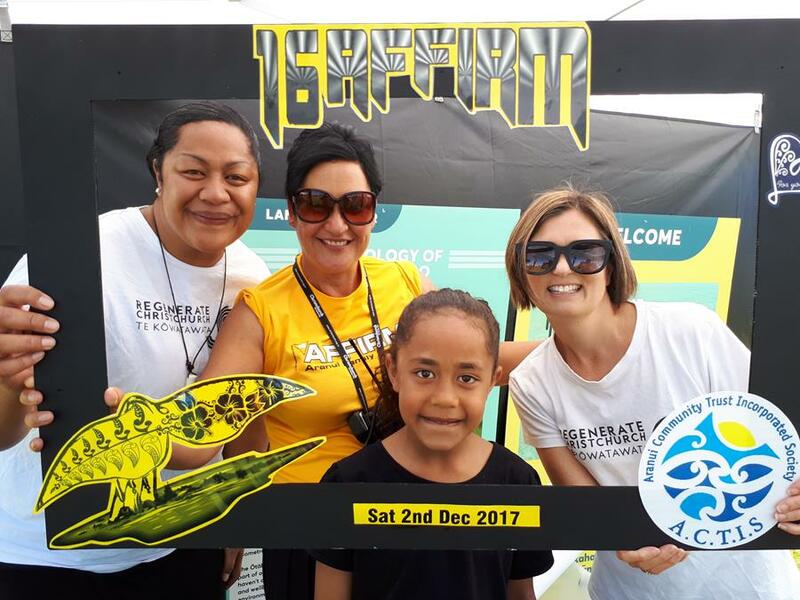 Over the summer period we’ll be at plenty of events, such as the inspirational AFFIRM festival in Aranui (pictured), so if you see our friendly team in their white tee-shirts, make sure you stop and say hi. And if you’re running a large community event, we’d love an invite! Who is the How team? What does it do? A community-led initiative, the ‘How Team’ has been created to advise how community conversations about South New Brighton and Southshore’s future can best take place. There are about 2000 households in South New Brighton and Southshore and we want to support community-led conversations on a range of complex issues, such as the impact of climate change and the future of the area’s red zone. 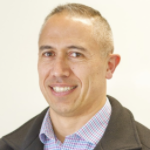 The How Team has eight recently announced community members and a local convenor, plus representatives from Regenerate Christchurch, Environment Canterbury and Christchurch City Council. The How Team will design an engagement plan, outlining the best ways to have these conversations with the community. It won’t be discussing or making decisions about the issues. Find out more about who is on the How team. You are receiving this newsletter because you asked Regenerate Christchurch to keep you updated, or you are on our stakeholder register. If you do not want to receive this newsletter, please use the link below to unsubscribe.